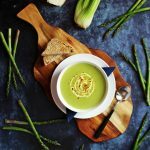 You are here: Home / Soups / Cream of Asparagus & Celery Soup – quick & delicious! 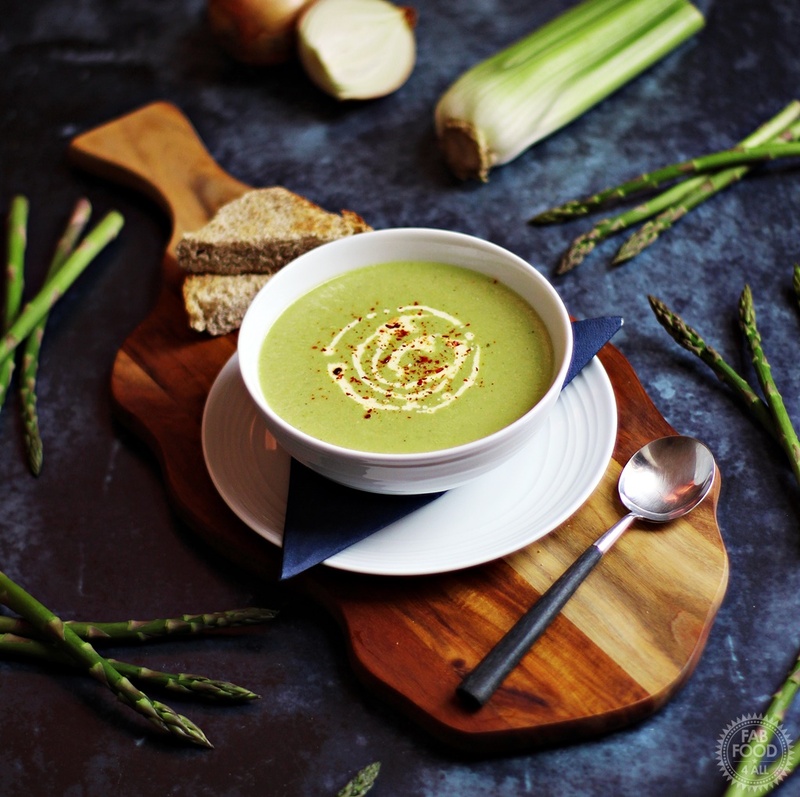 Today I’m sharing Cream of Asparagus & Celery Soup! 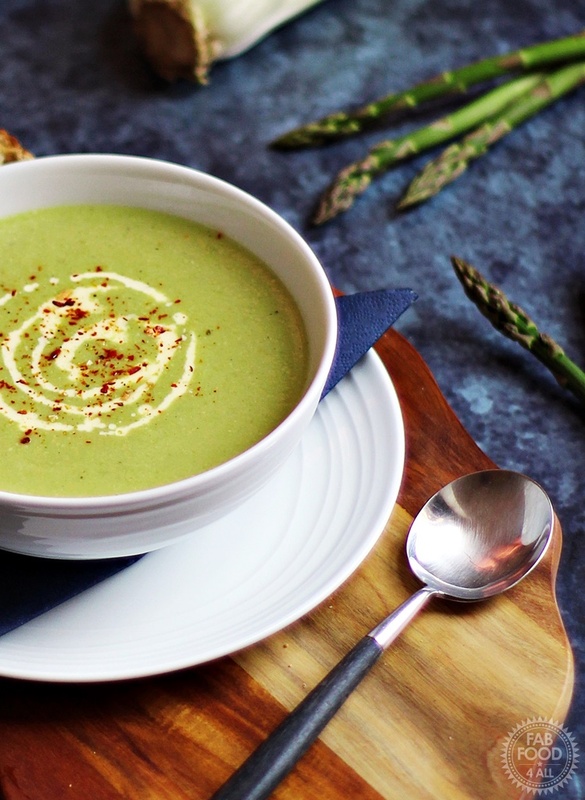 Last week I came across a bargain pack of asparagus and I immediately wanted to make asparagus soup but could see that 250 g of asparagus was never going to stretch to a soup to feed all 4 of us (son now back from university). So after a quick rummage in the fridge I found some organic celery (if you haven’t tried organic celery you must, way tastier than the ordinary one) and decided that this would probably be a cheap way of padding out my asparagus soup! 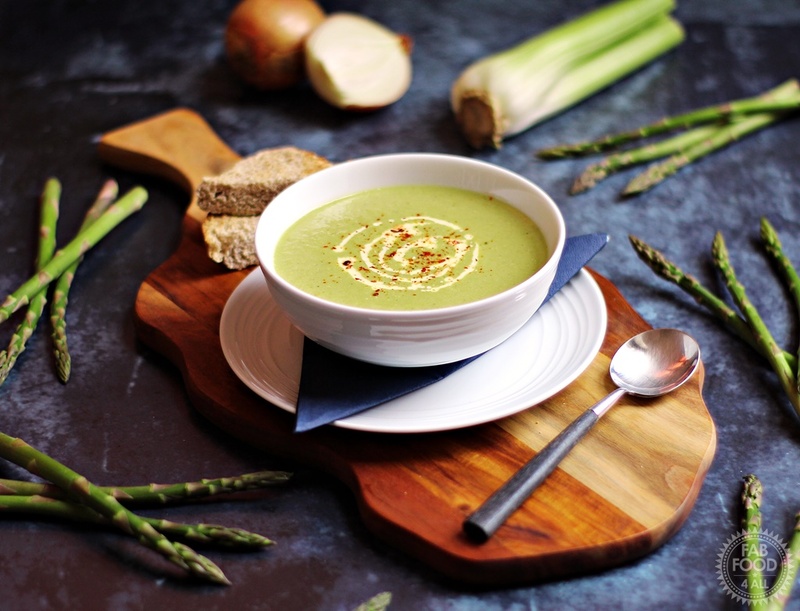 Well not only was it cheap alternative but the organic celery seemed to act as a flavour enhancer to the asparagus and my Cream of Asparagus & Celery Soup was an instant hit with the family. So much so that we’ve had it three times in the last week and a half! Asparagus is only in season in the UK for a short period (23rd April – 21st June usually) so make the most of it while you can as it still seems to be in the shops right now. If I see anymore bargain asparagus I will make up a few batches for the freezer so that we can enjoy my soup once the asparagus season is over. If you don’t have any vegetable stock you could always use chicken stock but just don’t use those stock cubes that easily crumble. 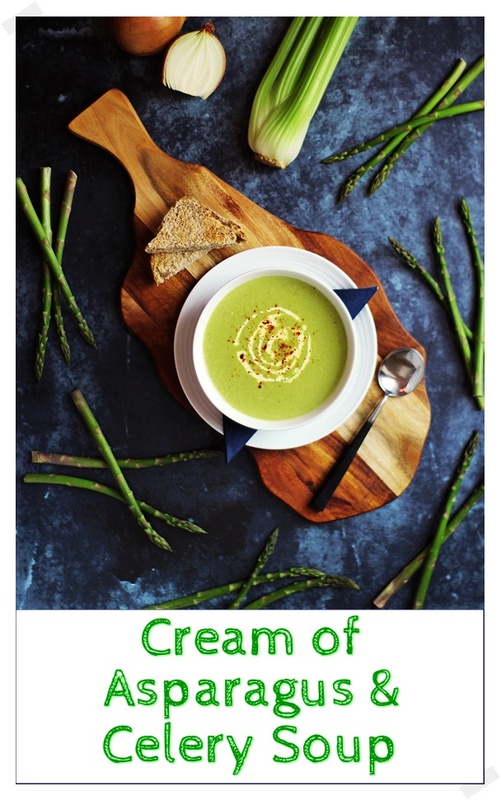 I had run out of my usual stock the other day and when I made my Cream of Asparagus & Celery Soup with this type it wasn’t nearly as tasty. 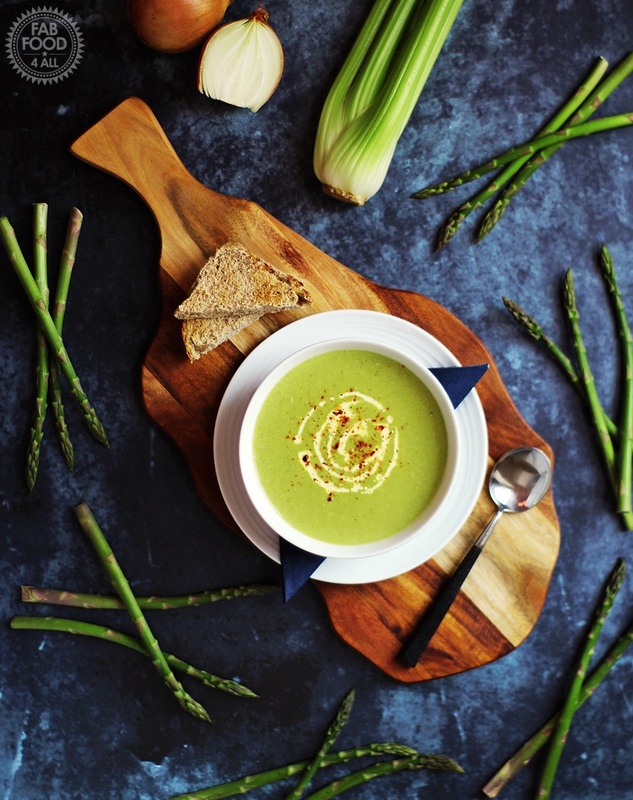 Cream of Asparagus & Celery Soup is so quick, easy & delicious! Melt the butter and oil in large pan over a low – medium heat. Add the onion and celery and sweat under a lid (without browning) stirring occasionally for 8 minutes (or until softened). Stir in the asparagus and continue cooking for another 2 minutes. Add the stock and seasoning, bring to the boil and then lower to a simmer for 7- 8 minutes (or until the asparagus is tender). Add the double cream and blend the soup. Return to the hob and gently heat through. Serve with a swirl of double cream and a grinding of chilli and garlic flakes.